The project (ERC StG 2017 758498) will combine methodological developments in dynamic nuclear polarization solid-state NMR (MAS DNP), X-ray diffraction and computational methods to develop an innovative analytical approach to solve the structure of functional organic powders at natural isotopic abundance. The work will mainly concern the study of small organic molecules of interest for pharmaceutical applications, electronic devices and energy. Postdoctoral position on “Structural determination of functional organic powders at natural isotopic abundance”. 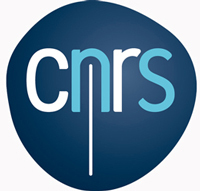 The solid-state NMR group of the Institut de Chimie Radicalaire (ICR) at Aix-Marseille University is seeking motivated candidates for a postdoctoral position in solid-state NMR and DNP of organic materials. The successful candidate will be recruited for 12 months (renewable once) funded by an ERC postdoctoral fellowship. The Institut de Chimie Radicalaire (ICR) of Aix-Marseille University (AMU) is internationally recognized as a leader in the field of MAS DNP both for the development of new DNP-based analytical methods for the characterization of organic solids and for the ideation of the most efficient polarizing agents for MAS DNP. ICR provides a unique environment bringing together complementary expertise in fields like radical chemistry, MAS DNP, and materials science. The successful candidate will have access to a large range of liquid and SSNMR spectrometers via the analytical facility of AMU Spectropole (http://fr-chimie.univ-amu.fr/spectropole/) located on the St. Jérôme Campus in Marseille. Two SSNMR 9.4 T spectrometers equipped with the latest developed hardware and numerous MAS probes (for rotor diameters of 1.3, 2.5, 3.2, 4 and 7 mm) are available on site. Solid-state DNP NMR experiments will be performed at the Bruker application center located near Strasbourg. Applicants are expected to have a degree in physical chemistry or physics, and a doctoral experience in solid-state NMR/DNP of materials. Knowledge in computational methods for NMR is a clear asset, as it is experience with diffraction methods and crystallography.